Lemax Reindeer Grooming Barn Lighted Building depicts a delightful make-believe fly-thru reindeer wash and grooming parlour in the North Pole. 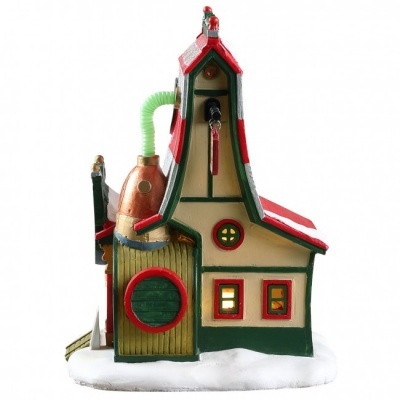 Delightful miniature building with internally viewable windows as the elves hand-wash the reindeer, and give them a free hoof trim! Provides a wonderful LED lit table piece suitable for placement within a Santa's Wonderland themed Lemax village display. 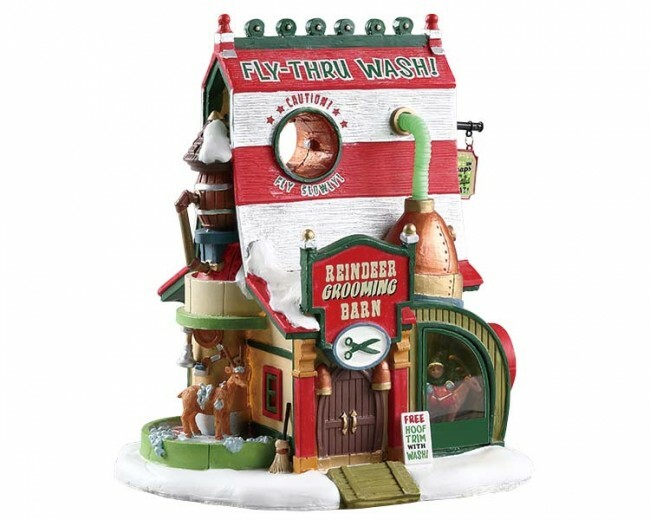 The Reindeer Grooming Barn joined the popular Lemax Santa's Wonderland miniatures collection in 2018. 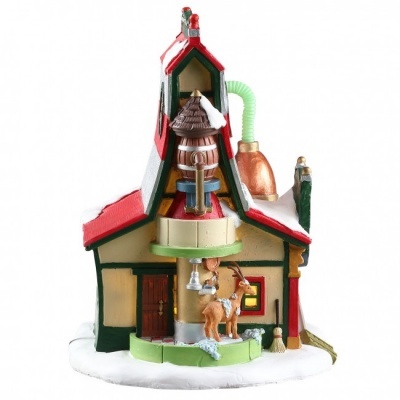 The Reindeer Grooming Barn is a single porcelain hand painted miniature building that would be a welcomed addition to your Christmas village display.